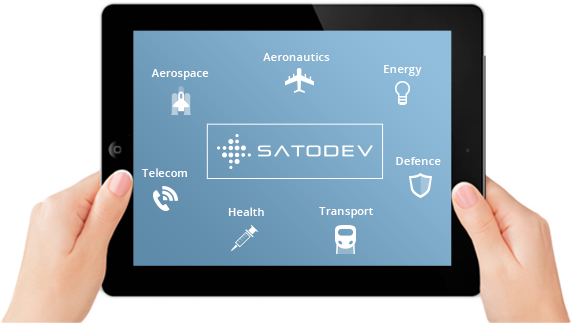 SATODEV is a SME specialized in RAMS software. In association with Philippe THOMAS, a longtime collaborator, Cyrille FOLLEAU creates the company in 2010 further to a clear observation that major growing companies suffer of a form of inertia in terms of decision taking and reactivity. Located at the Aéroparc Bordeaux Technowest business center, our collaborators’ combination of skills in computer and RAMS allows SATODEV to propose innovating technical solutions to solve RAMS computation problems. -	Guide and counsel our customers in the choice of most adapted computation techniques in accordance with their needs. -	Propose advanced expert assessment to the software use for complex studies. Whatever the customer, SATODEV provides personalized and direct contact, a great asset that allowed SATODEV to quickly find a position of choice facing major companies.